Dr. Dee is originally from New Hampshire, and although he still misses the mountains and the foliage, he has learned to love Florida’s sunshine and beaches. He received his undergraduate degree from the University of Massachusetts and his D.V.M from The University of Florida. 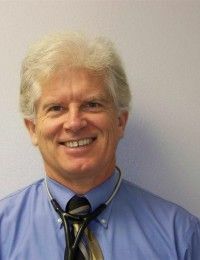 After practicing emergency medicine for several years, he returned to general practice, opening Lake Emma Animal Hospital in 1989. In his spare time, Dr. Dee enjoys sailing, target shooting, reading, playing computer games, and watching movies. 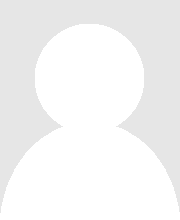 Dr. Groberg joined our staff in June of 201 1. She graduated from UCF with a BS. in Biology in 1997, and she went on to graduate from U.F. College of Veterinary Medicine in 2001. 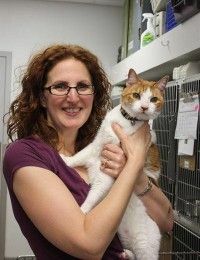 For 10 years, Dr. Groberg practiced medicine in feline exclusive practices, but she is excited to now be caring for dogs as well. In her spare time she enjoys reading, traveling, anything Star Wars related, and spending time with her husband and their 2 daughters. At home, she has both a three-legged dog and cat, Chewie and Fiona, as well as her other dog and cat, Lilo and Padme. She is pictured with her late cat Nacho, who survived cancer for over 6 years. 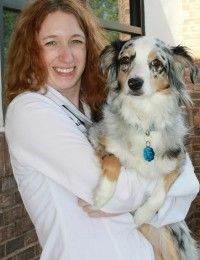 Dr. Nichole Crainick joined Lake Emma Animal Hospital in August of 2014. She is a 2007 graduate of the University of Illinois. For the first year of her career, Dr. Crainick worked in emergency medicine & general practice. She also completed two internships during her career. Dr. Crainick has a special interest in canine & feline internal medicine, especially gastrointestinal & endocrine diseases and ultrasound. She enjoys hiking, kayaking, snorkeling & scuba diving in her spare time. She has an Australian Shepherd named Lily (pictured here), and two cats, Sterling and Troy. She is very happy to have come to sunny Florida from her home in St. Louis, Missouri. Dr. Hecker grew up in Charleston, South Carolina in a family of animal trainers and biologists. She got her Bachelor’s of Biology at Vassar College in New York, and studied for her veterinary degree in rainy Edinburgh, Scotland. 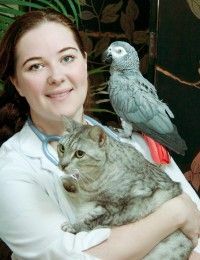 She lives with her 15-year-old African Grey parrot, Quito, a cat, Eris, and a very energetic dog, Colby. She is especially fond of all cats and birds, but loves treating all animals. In her free time she enjoys biking with her dog, birding, and knitting sweaters she can’t really use in sunny Florida.